204 pages | 25 B/W Illus. "Academics, Artists, and Museums advocates for the museum as an experimental ‘laboratory’ where academia, art and the museum profession can combine to engage new audiences. 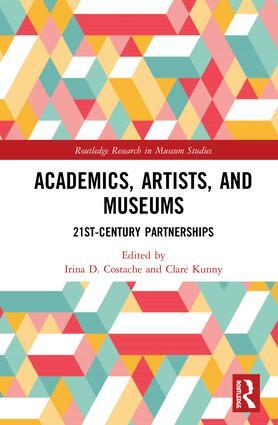 It is a useful resource for museum professionals, artists, scholars, and students interested in collaboration and innovative practice." Irina D. Costache is Professor of Art History, and Director of the Broome Gallery, at California State University Channel Islands (CSUCI), USA. She is an experienced exhibition curator and a former President of Art Historians of Southern California. Clare Kunny is a US based art historian, educator, and administrator, with 30 years of experience working in and with museums. Focused on building bridges between the academy and the museum, she is the founder and director of Art Muse Los Angeles.